Starbucks leverages data from its rewards program and mobile app to offer more targeted promotions via the app. Tech vendors can provide more than just software and technology to retailers; they can act as valuable advisors, too. Beauty-box services, such as those offered by Birchbox, can break shoppers out of their routines and prompt them to spend more on beauty products. This week, the Coresight Research team attended the Tech. 2018 conference in London. Here, we feature our top takeaways from the second and final day of the event. 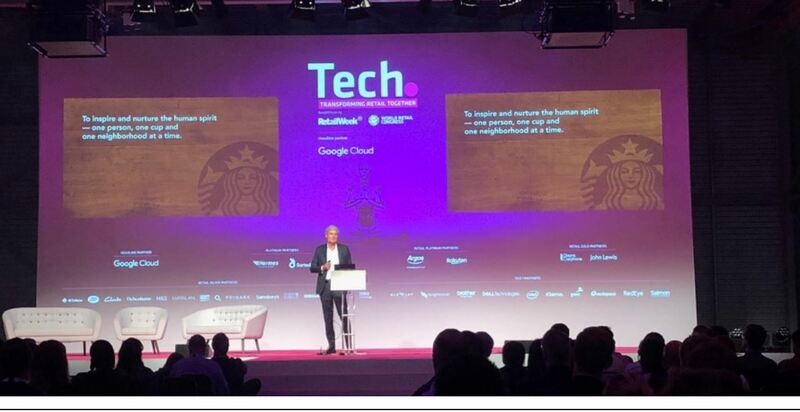 Martin Brok, President of EMEA at Starbucks, kicked off day two of the Tech. 2018 conference by outlining how Starbucks is blurring the lines between digital and physical to deliver more convenient and personalized customer experiences. Data analytics is one of the secrets to Starbucks’ success. Brok discussed how the company is continuously testing and implementing new ways to digitally connect with its customers, whether via the Starbucks digital wallet within its mobile app, its rewards program or mobile checkout. These help the company deliver “exceptional experiences” to customers, while providing Starbucks with valuable customer analytics, Brok said. Starbucks has achieved this by building a “digital flywheel” that is focused on four pillars: rewards, payment, personalization and ordering. More than 14 million people are part of the Starbucks Rewards loyalty program and Rewards purchases represented more than 35% of company-operated sales in the US in 2017. By capturing data on what customers are ordering and how often, Starbucks is able to send them personalized offers and push one-to-one marketing messages to drive sales. According to Brok, 40% of all Starbucks US orders are now placed on the company’s mobile app. The app allows customers to order in advance, then pick up their items at the store later. This reduces lines during peak times, saving time for both customers and employees. Customers can also use the mobile app to make cashless payments. The Starbucks Rewards program and the mobile app provide valuable historical and trend data, allowing the company to offer more targeted promotions via the app based on factors such as customer order history, product placement preferences and location, as well as external information such as weather details. Online shoppers increasingly expect their orders to be fulfilled quickly. Amazon Prime has raised the bar, forcing logistics companies and retail partners to elevate their delivery services. Danny Hawkins, CTO and Cofounder of Quiqup, a London-based last-mile logistics services company, said that time windows for same- and next-day delivery are critical components in a retailer’s last-mile delivery strategy. Quiqup offers a software-enabled logistics platform to brick-and-mortar retailers, and the company’s fleet of shoppers shop on behalf of a retailer’s customers and then deliver the orders. Maron Kristófersson, CEO and Founder of Aha.is, Iceland’s largest online marketplace, said that retailers and brands must compete on convenience, speed, price and quality of delivery in order to stay competitive. He explained that Aha.is has developed a fully functional, autonomous, on-demand drone delivery service. In partnership with drone technology company Flytrex, the company can serve about half of Reykjavik, he said. The autonomous drones are approved to fly up to 700 meters off their path to make backyard deliveries in selected neighborhoods. Kristófersson suggested that, once drone delivery becomes mainstream, retailers and consumers will see tremendous benefits, as “each drone can replace at least three to four cars.” Drones can provide speedy delivery without harming the environment, while reducing traffic, he noted. In a panel discussion, CIOs and technology heads discussed what they look for when choosing suppliers and what a supplier’s true value is for a retailer. While many technology vendors have developed innovative products that allow retailers to manage stores and run fulfillment operations, marketing and e-commerce processes more efficiently and logically, they are not limited to providing software and technology, the panelists suggested. Many are capable of acting as more useful advisors to retailers. Sam Jarvis, CEO and Cofounder of HubBox, a retail technology company that specializes in providing solutions for click-and-collect fulfillment, said that the best suppliers and vendors actually help build a better product by recognizing opportunities and being omnipresent. “The more helpful we are, the more successful [retailers] will be and, therefore, the more work for us,” he said. Close collaboration and communication can help build trust between suppliers and retailers, said Phil Leitch, CIO of global health club operator Virgin Active. 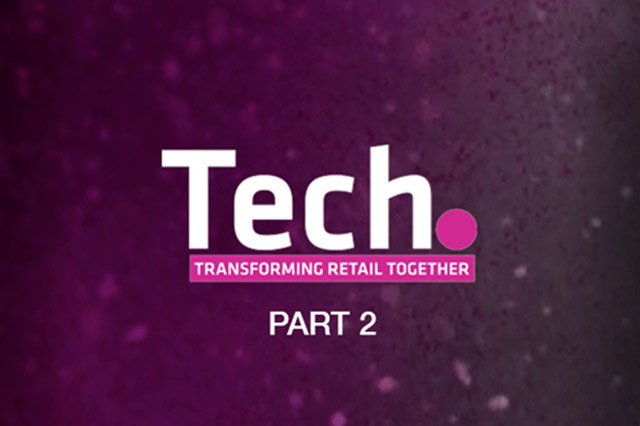 Leitch suggested that, when retailers are working with suppliers, the relationship is more successful if both parties discuss their business’s strategic road map with the other. Julian Burnett, VP of Retail Market Strategy at IBM Services for the UK and Ireland, said that suppliers can often compete on the product, but that synergies related to culture and values can enhance the relationship and build a greater level of trust. Beth Horn, Industry Head of UK Retail and Restaurants at Facebook, and Janis Thomas, Marketing Director at Birchbox UK, discussed how Birchbox builds a distinctive beauty-box offering. Thomas noted that Birchbox’s core customers are not beauty fanatics—rather, they are busy with life tasks and tend to stick to buying beauty products that they are familiar with. Once shoppers discover Birchbox’s beauty boxes, they tend to go on to spend more on beauty than they previously did, because they start discovering new brands and products and begin to understand why they might want to spend more for a more effective product. Social channels are Birchbox’s number one way to understand how customers feel about the latest month’s beauty-box offerings; there is no other means to get the kind of immediate feedback that social media provides, Thomas said. She noted that Birchbox’s physical offering is based on personalization and discovery, and that the company has recently relaunched its website to offer rich content that aligns with its wider experience. Instagram has gone from being a niche channel to being “huge” for Birchbox marketing, Thomas noted. PostTag, which offers software that enables retailers to identify the exact address of a shopper when an order is processed online, making last-mile delivery more efficient. Greyhairworks, which offers marketing consultancy services that leverage the extensive expertise and networks of the firm’s seasoned consultants. Swoop, which offers an omnichannel marketing suite that leverages artificial intelligence to help retailers engage with shoppers and increase sales conversion. Stowga, which offers a B2B online marketplace that connects companies with spare storage capacity in their warehouses with firms looking for short-term storage. The Discovery startup prize was awarded to Greendeck, a company that deploys artificial intelligence to provide fashion brands and retailers with dynamic pricing and competitive intelligence.